What is clear however is that employees are not adhering to policy. According to the Department Of Transport in the UK, 3% of car drivers and 5% of van and lorry drivers use their mobile phones (either hands free or not) at any given time during the day on week days. With lower percentages in the evenings and at weekends, this is clearly business use. The Romex solution will cut off and block voice calls and messages after the start of a business journey. Their driver distraction prevention module locks the keypad to prevent any texting or emailing. Users will receive an announcement via their phone if they have a missed message/email to let them know that they are required to stop in a safe place and take the message whilst stationary. 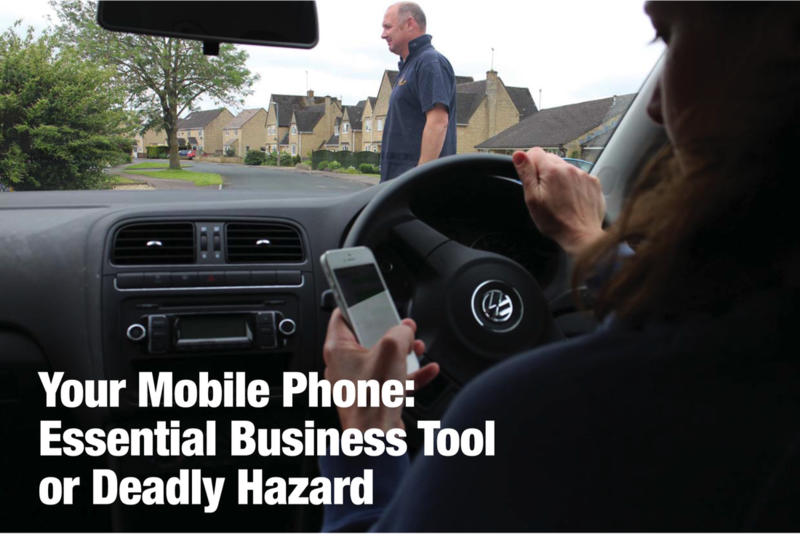 Are Mobile Phones an essential Business Tool or Deadly Hazard? Mobile phone technology has advanced so far in recent years that we now have the whole world at our finger tips accessed via our phone. A car is an extended office, workers use this time to make and receive calls and people have begun to get used to the idea of being accessible 24/7. We all embraced this development and it has certainly increased productivity in many areas, however it is now shown to be putting workers at risk. No matter what your profession, these days a mobile phone will be considered a tool of the trade. With the advance of technology workers are now able to use their phones for so many different tasks, not just for phoning into the office. Smart phones now enable us to send and receive emails, so clients can always get in touch, texting too. Those running social media marketing campaigns are no longer confined to the office as it can all be done on the move. All appointment scheduling, job completion and job sign off can be done from a hand held phone. There is no need to return to the offices. Many workers now use their phones for photography - for example when collecting rental cars, they can record damage and send it straight through to the office. However, whilst the user is not physically distracted by having to handle and hold the phone their mind is just as distracted, this is known as "Cognitive Distraction". Visual: Distractions that cause drivers to take their eyes off the road. Manual: Distractions that cause drivers to take their hands off the wheel. 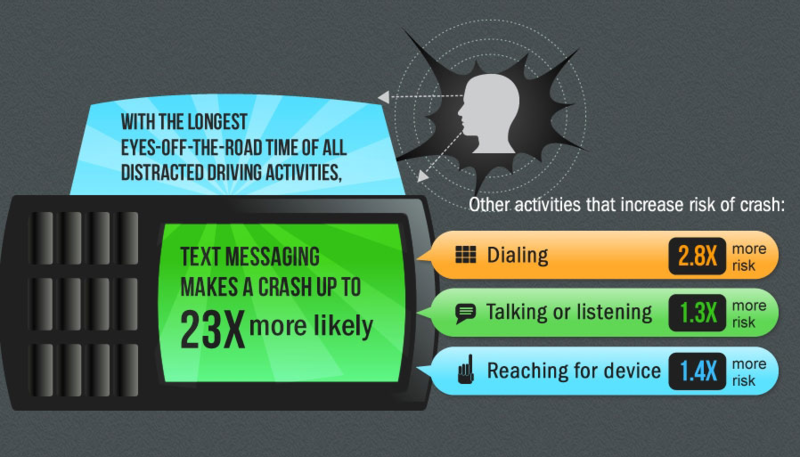 Cognitive: Distractions that cause drivers to divert their attention from the road.